Below you will find our recommended water bottle recommendations for hiking and backpacking. Since a water bottle’s value is highest if it functions well in extreme weather conditions, we focused mostly on insulated water bottles; although we added a few that aren’t. Insulated water bottles are constructed of stainless steel and are therefore a little heavier than a plastic bottle. However, they are also more functional and more likely to hold up under difficult conditions. Additionally, stainless steel bottles don’t absorb flavors or pose a health risk like non-BPA plastic bottles can. If weight is a major factor for your trip, you should carry a plastic, collapsible hydration bladder or water bottle. We own several hydration bladders, Platypus collapsible bottles and filtered water bottles. 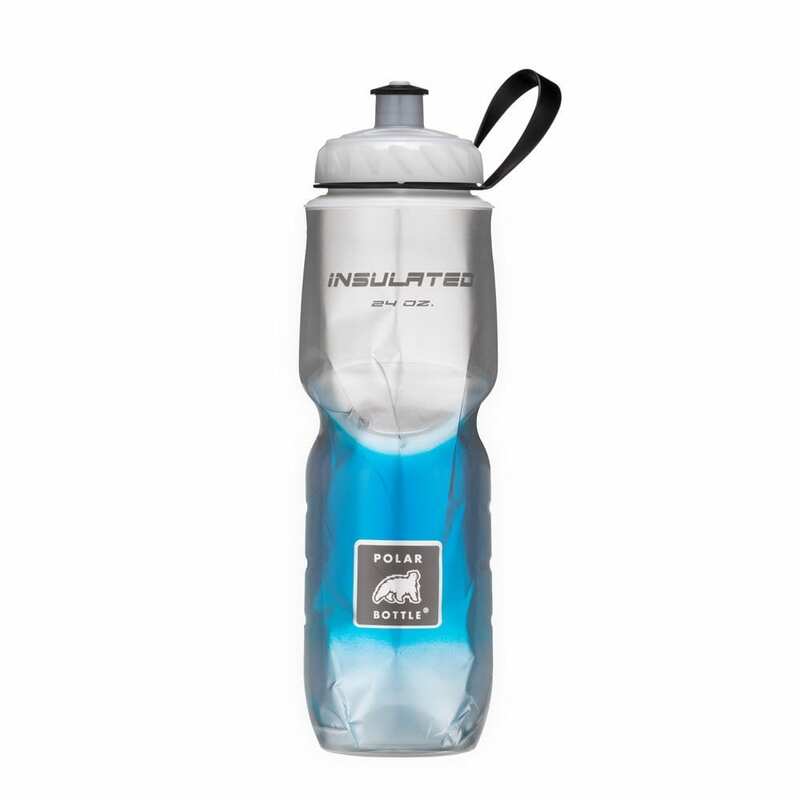 Even though you may want to swap out stainless steel for plastic if you’re going ultralight or will have frequent access to fresh water, we still recommend insulated water bottles for hiking and backpacking since the extra weight is typically trumped by the superior functionality provided by insulated water bottles. 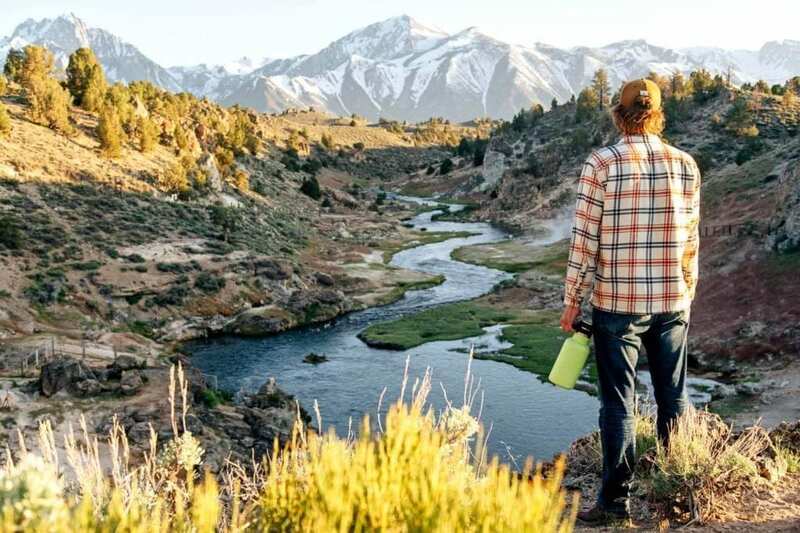 In this review of the best water bottles, we only listed water bottles of the highest quality that are perfect for hiking, backpacking, mountaineering and similar activities. Keep in mind that although manufacturers rarely design their bottles for specific activities, certain bottles typically work well for different functions. With that in mind, we do our best to match our recommended bottles with the different popular sports or activities. Ultimately, most of our top recommendations work for just about anything, which means that after insulation, the main criteria you’ll need to consider are weight and cost. The Hydro Flask Wide Mouth is in our opinion the king of water bottles. Its most impressive feature—and the reason it’s a pricey $40—is the insulated double-wall build that keeps your water cold and coffee hot. 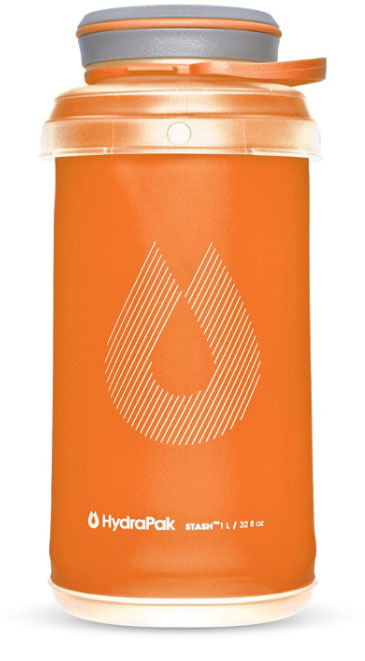 Hydro Flask was the first company to manufacture a fully insulated water bottle made of stainless steel and their attention to detail in this bottle shows. The wide mouth model keeps drinks hot for 6 hours and cold for 24 hours; we often have ice cubes remain frozen for a full day in our Hydro Flask without melting. Throw in superior build quality, a stainless steel interior that’s easy to clean, an always-changing number of colors, and a slightly textured feel that’s easy to grip, and you have the perfect water bottle. Keep in mind that the 32-ounce, Wide Mouth version of the Hydro Flask does not fit in most standard cup holders, although the Standard Mouth, 24-ounce version below does. As you might imagine, we have both–and the growler. The Yeti Rambler is one well designed bottle. Yeti is known for the quality of its coolers, but the Rambler’s high ratings, aesthetic design and off-the charts functionality put this bottle in a class of its own. In many ways, the bottle cap reminds us of the early Hydro Flask cap design with its threaded finger-grip design. 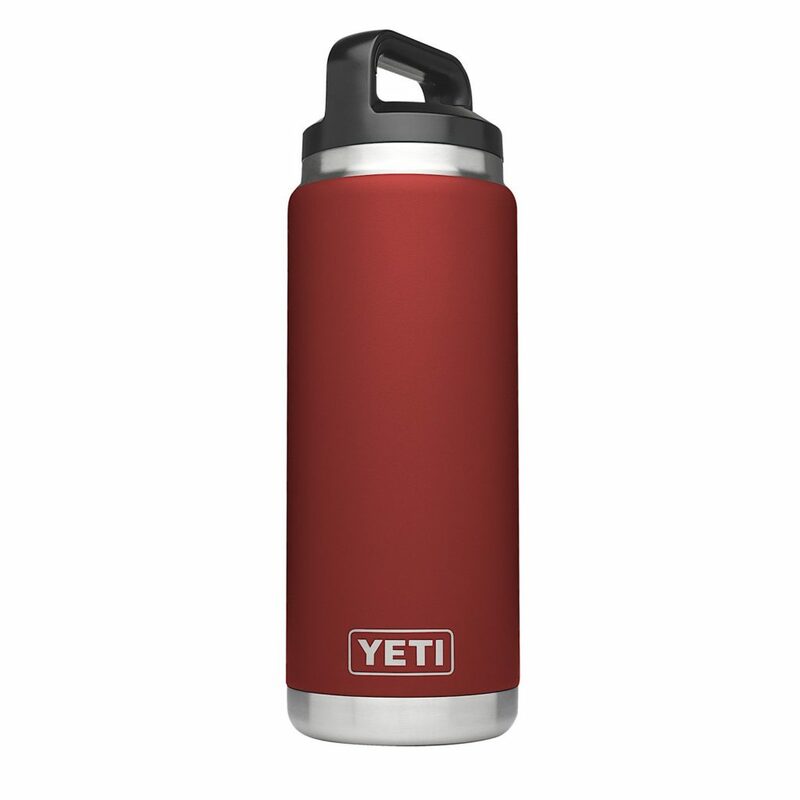 Yeti refers to their cap design as the “Triplehaul Cap.” Add the double-wall vacuum insulation and 18/8 stainless steel construction and you end up with a bottle that deserves to be placed near the top of your next backpacking or hiking packing list. Capacities: 16, 32, 48 fl. oz. 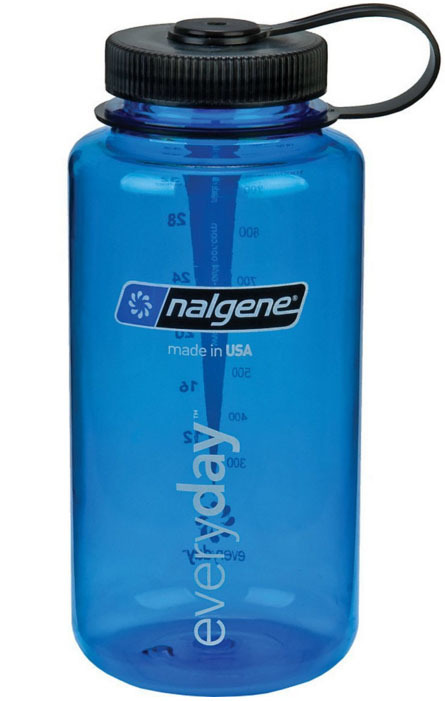 The Nalgene 32-Ounce Wide Mouth is extremely tough and completely BPA-free. This bottle comes in numerous color options and is highly functional in any context. Your ice cubes won’t stay frozen very long, but the screw cap, wide mouth and cap holder create an easy-to-use bottle top. The downside? The only real downside to the Naglene Wide Mouth is the lack of insulation. At only 3.5 ounces, this is a very light bottle that can be used for hiking, biking and any other outdoor activity. 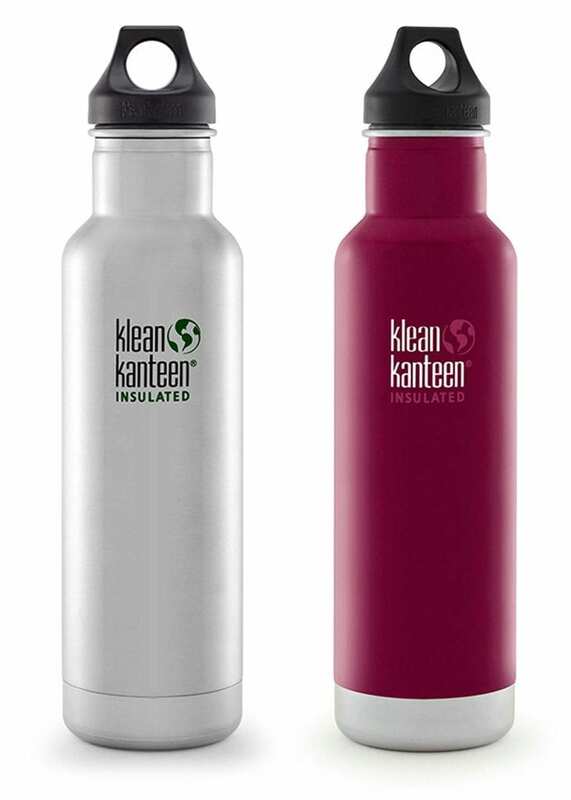 Klean Kanteen is the gold standard of stainless steel water bottles that can serve as a solid “daily drinker.” This is especially true if you’re indoors and want to be the cool kid who saddles up to the meeting with your Klean Kanteen. When using a stainless steel bottle, you’ll avoid lingering flavors or residue from your previous drink. Even though this bottle isn’t insulated, it will keep your liquids cooler longer than if you are using a plastic bottle. The CamelBak Podium Ice Insulated Water Bottle is the best water bottle for bikers, but it also doubles as a good bottle for hiking. It has very high ratings with tons of great reviews on both Amazon and REI. It keeps water cold four times as long as regular sport bottles; and even longer than the Klean Kanteen. It’s easy to squeeze, and has a wide-mouth opening that makes it easy to add ice cubes. This is not your grandpa’s classic thermos. Well, it is…but, it’s been redesigned for the 21st century. 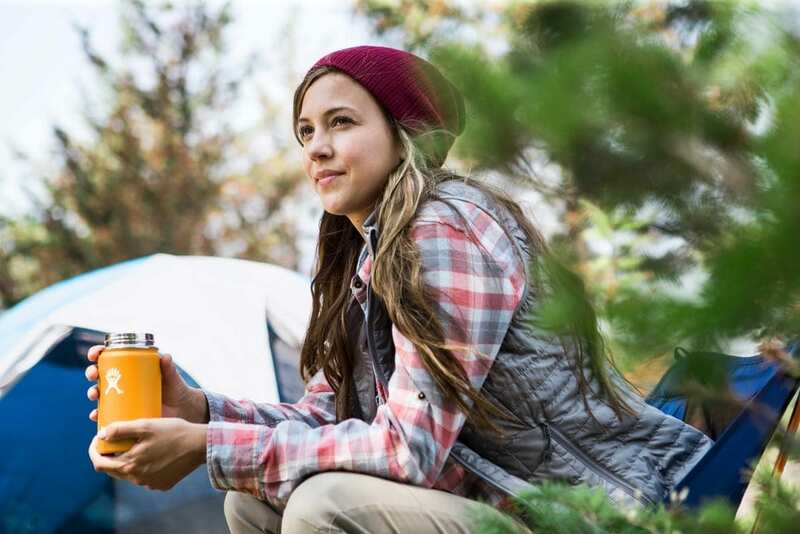 The Classic Thermos is rated to keep beverages cold for 13 hours, and the handle that’s connected to the cap is easy to carry and holds enough fluid to make this a highly functional thermos. At $30 for the 36-ounce model, the Stanley Thermos is a well-priced option among double-wall vacuum designs. So, what’s the downside compare to other insulated bottles? The Stanley Classic Thermos is a slight downgrade from the Hydro Flask and Klean Kanteen models. However, it does come with a lifetime warranty and retro-cool is still cool. If you’re going deep into a backwoods situation, this is an ideal option. It’s light–super light. In fact, this soft-sided 1-liter bottle is only 1.6 ounces and can be rolled up into a small scroll-like shape. The “DuoLock” refers to the cap system that has both a narrow opening for drinking and a wider space for filling up. Since this bottle is collapsible, it doesn’t fit easily into a cup holder or backpack bottle holder. Overall, it’s hard to go wrong at this price–we own three Platypus bottles and highly recommend them. Capacities: 25, 32 fl. oz. This bottle offers a compact design that is ultra portable and lightweight. The bottle has a solid plastic top and base, but the middle section is made of a flexible plastic that can be compressed. The bottle packs down to 3.3 ounces in the 1-liter size. This bottle can be packed into just about any kind of bag or sack and makes sense as part of any hiking, backpacking or outdoor adventure. The loop top and narrow opening for drinking make it easy to carry, but it’s difficult to shove ice into the bottle with such a narrow mouth. Even though the shape of the bottle limits access to the mouth, it’s exceedingly easy to pack in backpacks and fits well in cup holders. The CamelBak Podium Big Chill Insulated Water Bottle is a good choice if you’re willing to trade some insulating ability for four more ounces. 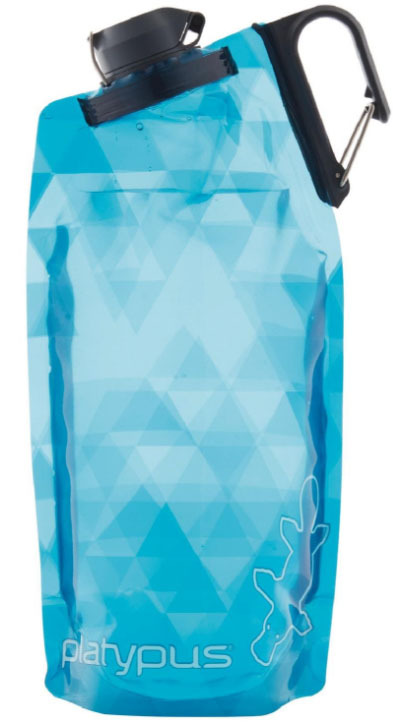 CamelBak claims that the Podium Big Chill will keep your water cold only twice as long as an non-insulated bottle. This is an extremely popular bottle on Amazon with stellar reviews. The Polar Water Bottle is a highly rated water bottle. It’s probably the coolest looking bottle in the list and it has been around for over 20 years as the original insulated water bottle. You might also want to check out Polar’s high flow replacement lid if you’re looking for a backup or lost your original. If the list above didn’t cinch it for you, here are some tips you can use as you continue your search for the right bicycle water bottle. In many cases, the extra insulation used to keep your water cool also adds to the overall weight and girth of the bottle. In some cases, this can cause problems for you if you’re trying to fit your water bottle in a standard water bottle holder; especially since most water cages don’t flex very much. Consequently, you may want to consider whether you need to also purchase a water bottle cage that is flexible (and strong) enough to hold a 1 or 1.5 liter bottle. Check out this one from Pro Bike Tool. It’s rocking more than 500 5-star reviews and is both affordable and sleek. Typically, the more money you spend, the more temperature retention you’re going to gain with your bicycle water bottle. If you’re willing to carry a small backpack in lieu of using a bicycle bottle cage, you eliminate any constraints imposed by the size of your bike water bottle cage. If that’s your preference, consider purchasing a relatively lightweight, steel Hydroflask. As seen in the different lids in the bottles above (like the watergate lid), each company uses a different design to keep their lids on tight and manage temperature. The best-designed bottles are rely on a shape and materials that facilitate grasping the bottle while on the run (or roll). Because of these important factors, when testing which bottles retain their temperature most effectively, lids factor in heavily. S’well is another “backpack bottle” that is known for its distinctive lid, which also helps manage temperature better than most other water bottles. If you’re planning on taking your bottles on a car camping trip, check out our top 20 recommendations for car camping gear or our car bike rack review. If you’re planning a longer trip in a really warm area, consider using an insulated water bladder in a hiking backpack. And if you’re going to travel somewhere with extreme weather, you should review New England Gear Guide’s 10 Best Water Bottles for Extreme Weather post or check out this list of water bottles for biking and backpacking. If you’re going deep into the back country or visiting a third-world country (or university dorm), you should consider an integrated filtered water bottle. Receive our monthly updates about New England destinations, deals and seasonal activities. @2018 - Explore New England, LLC. All Rights Reserved.